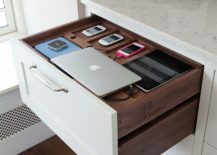 We live in times when being separated from our precious gadgets for a few fleeting moments seems more painful and intolerable than being away from people we love for days! 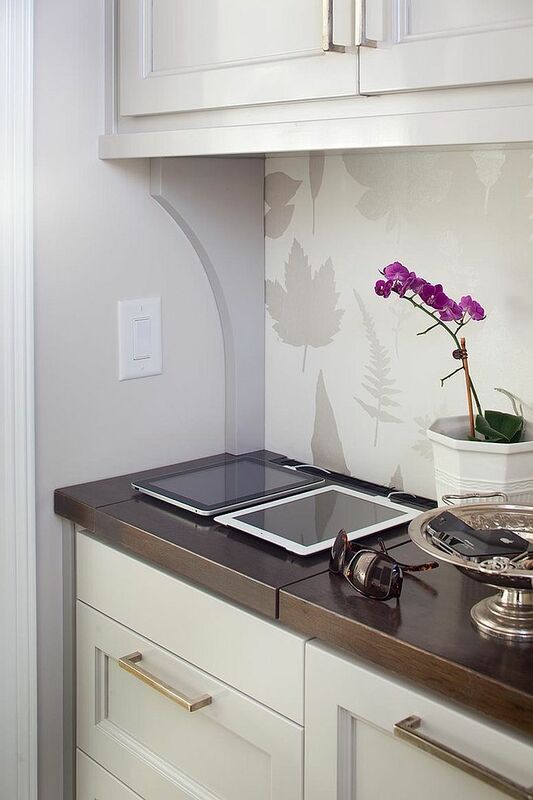 The tech-savvy world around us is one where staying connected is the most important aspect of life. 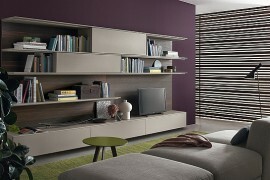 We tend to share pretty much everything and anything with people we know and don’t know as well! Of course, ironically we only seem to share information while guarding our material possessions ever so dearly. 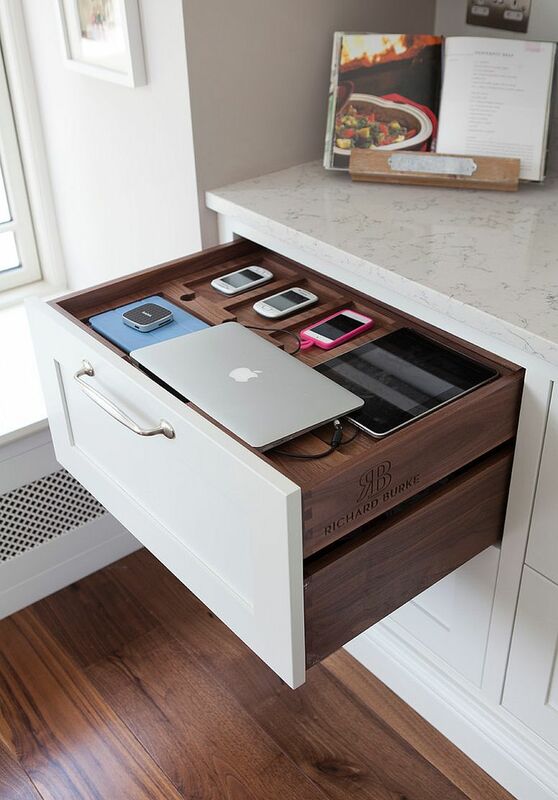 That aside, practicality demands we have our gadgets always ready and charged at all times. 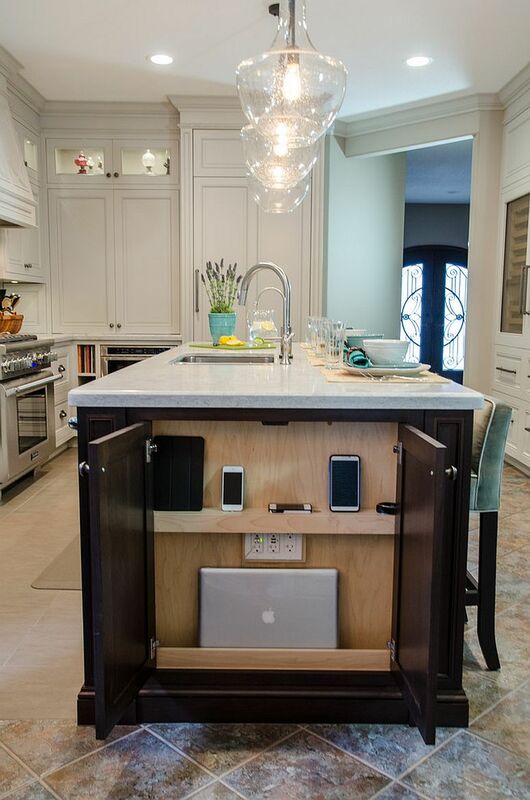 And it is here that the smart kitchen charging stations come in handy. 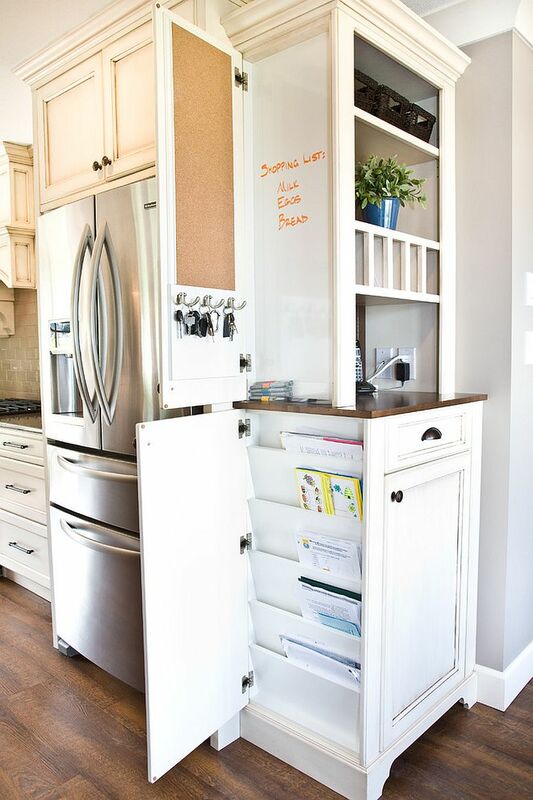 This is the simplest of all ideas and it works best because it is so uncomplicated and cost-effective as well. 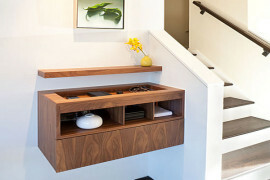 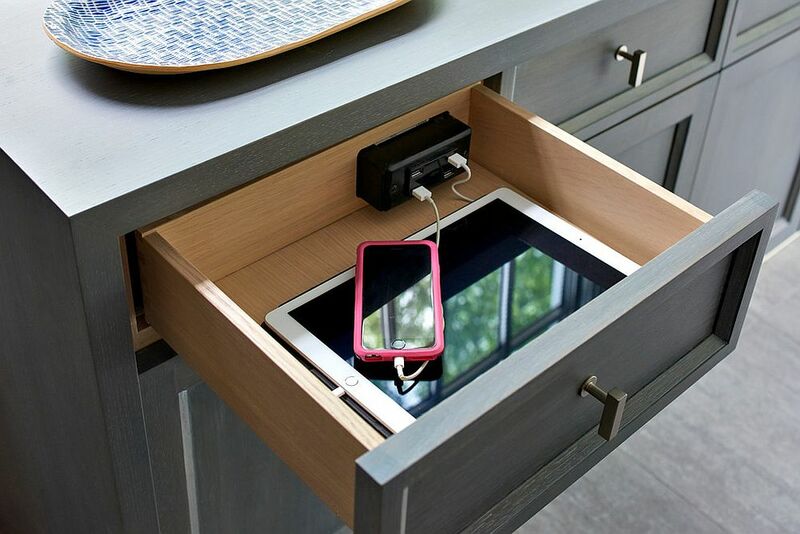 Turning one of those many drawers in the kitchen into your charging station is both easy and efficient. 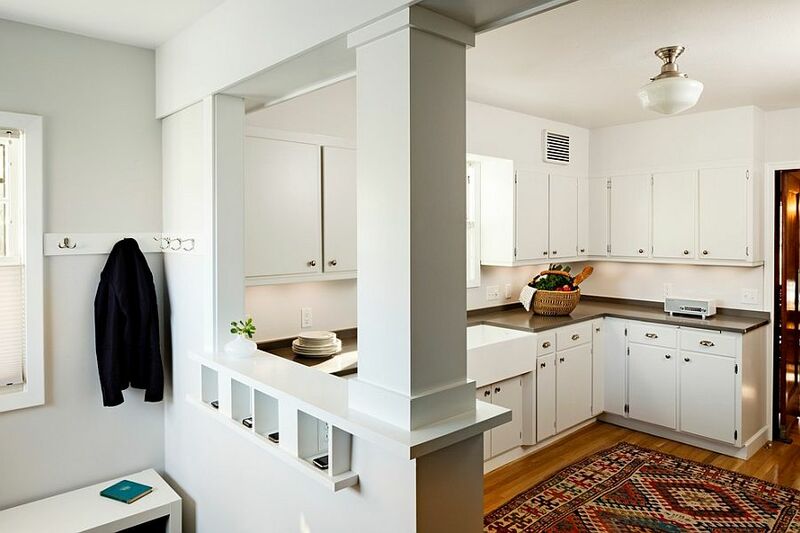 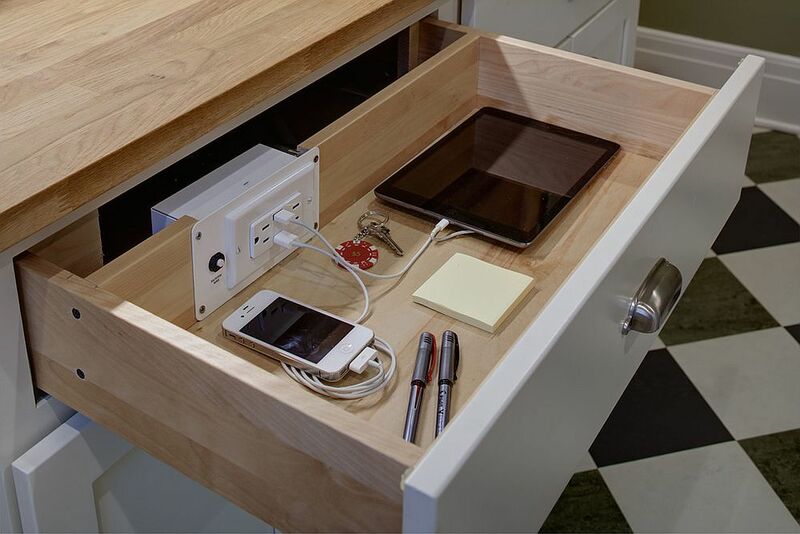 Most of your gadgets will easily fit into the drawer and with a closed space like this, you will not have to worry about ungainly ports and many cables disturbing the kitchen aesthetic. The best part of the drawer that doubles as charging station is the fact that it provides a secure home for your tablet, smartphone and laptop in the kitchen – one away from fire, spills and other freak accidents. 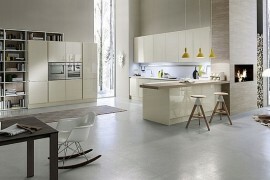 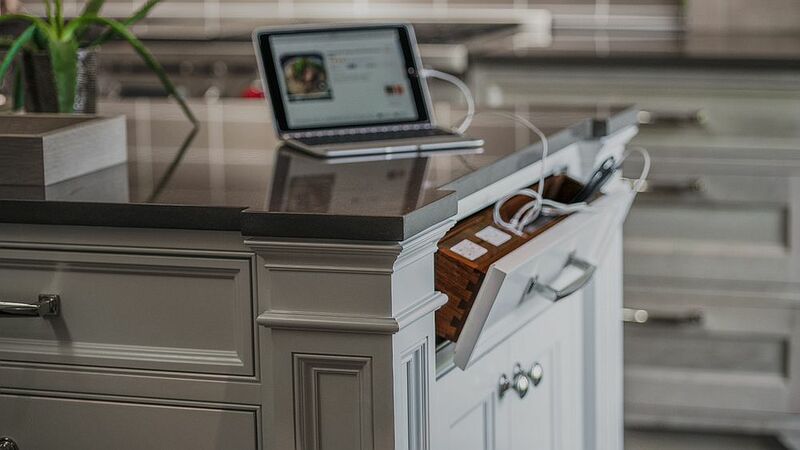 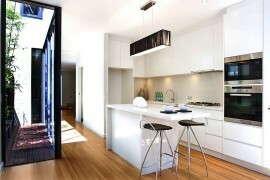 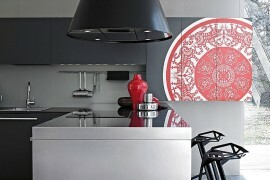 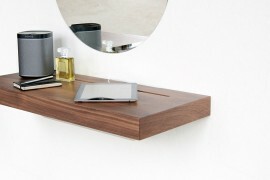 A perfect place to charge your iPads and smartphones in the kitchen! 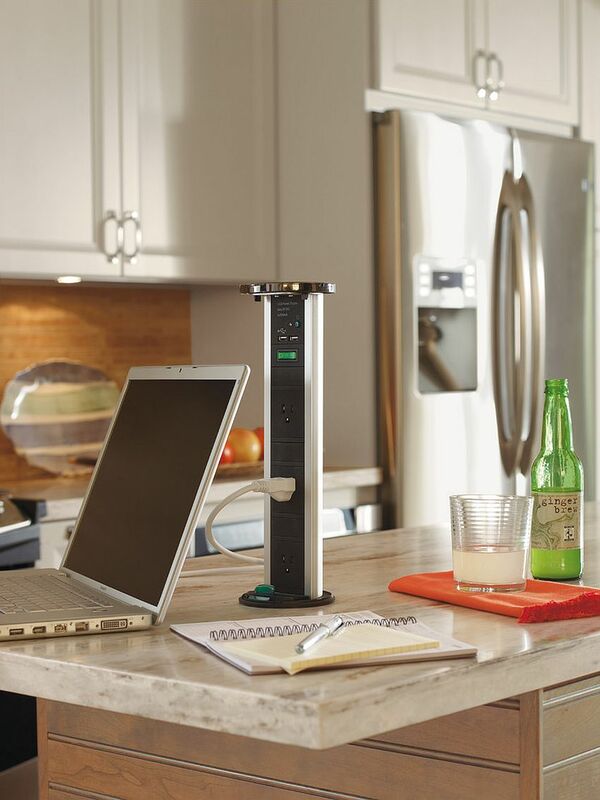 Prefer you smartphone or tablet to be always in your sight so that you can respond at a moments notice? 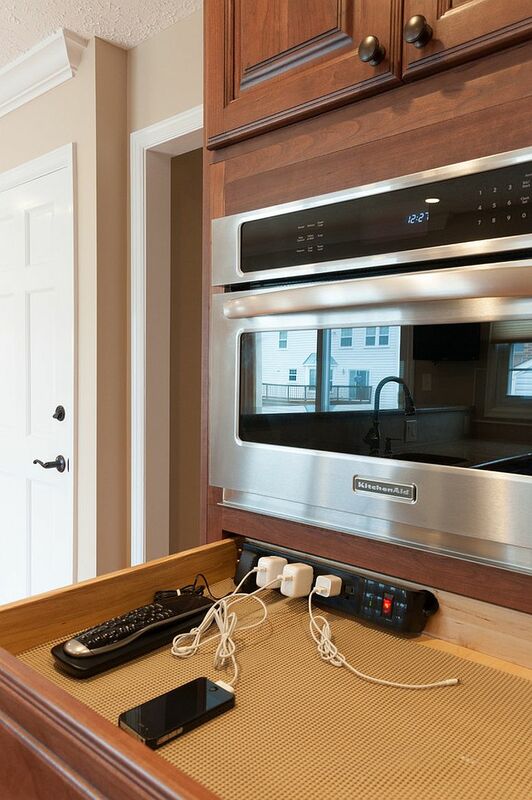 You might want to do something about that addition, but for those who do insist, there are many ways in which the open charging station can be placed in the kitchen. 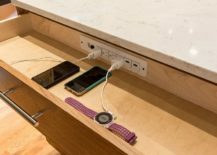 Corners are often the best spots and they also generally tend to have charging points, making the taks a whole lot easier. 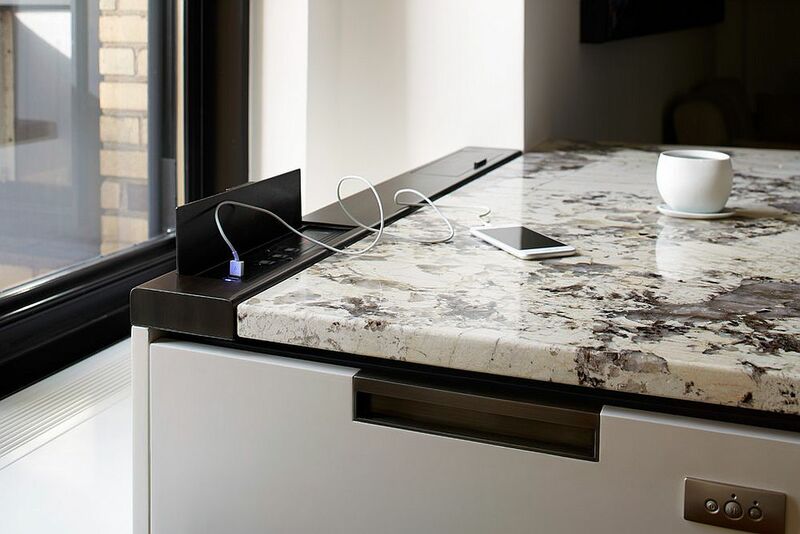 Some might prefer the kitchen island countertop instead, but this is for those who are careful enough to not spill around all the time. 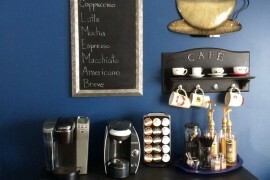 Take your pick and get started right away! 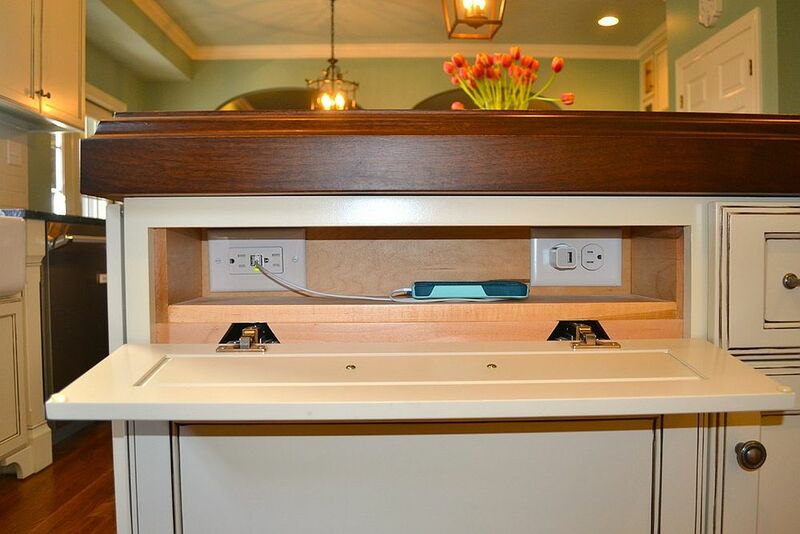 Explore all the options out there before you settle on a kitchen charging station. 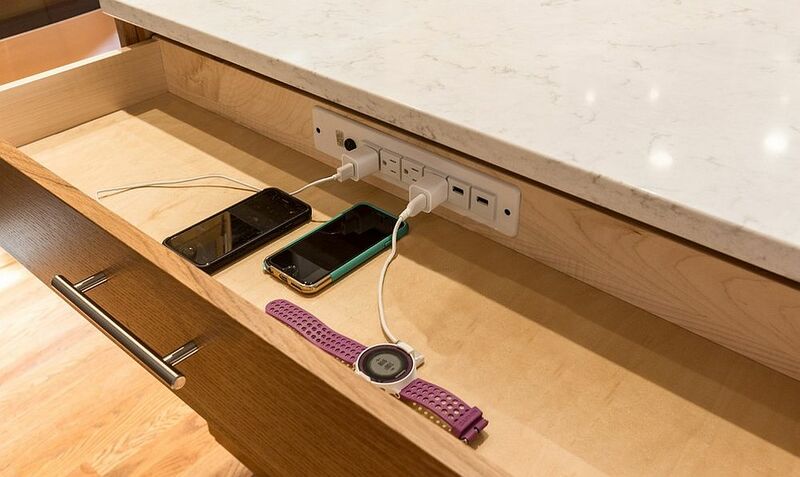 We absolutely love the idea of simple flip-out charging stattions that come with USB ports instead of the traditional electrical outlets. 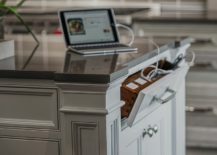 This makes chaging a whole lot easier for you and the need of an adapter is done away with. 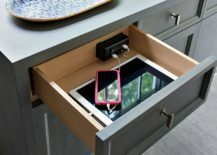 You can just close the little unit when done and it can be easily hooked on to everything from the island countertop to a corner in the worktop. 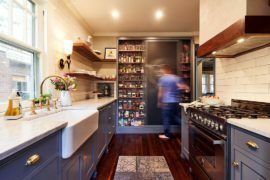 Cabinets with greater number of outlets and custom cabinets are smart options for large families where just a few ports will not do the trick. 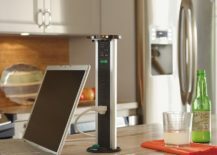 As you wait for home surfaces and countertops that will charge gadgets automatically when placed upon them (trust us, that day is not far away), think about getting a small and smart charging station for your kitchen this season. 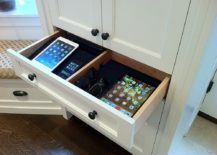 It is an idea the whole family will appreciate!